Didn't everybody, at some point in their childhood, put together a pair of makeshift wings and try to fly. I did. The wings were cardboard. I tried different designs. I tried jumping off a tree branch. I was blissfully unaware of the fact that it was impossible because when you are a kid you believe in the impossible. 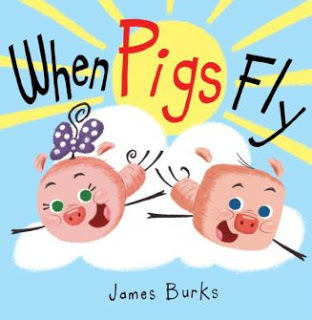 When Pigs Fly, a picture book written and illustrated by James Burks, takes the creativity and imagination of children and makes it into a funny story about doing something that has never been done before. Two pigs, a girl and a boy are playing with toys, and crafts, and cameras, when the boy announces he is going to fly. The girl explains that pigs can't fly, but the boy sees only possibilities not limitations. He makes a pair of wings out of cardboard and improvises with a kite and a "jetpack". I'll just say that he had better luck than I did. The book is a great lesson on teamwork, perseverance, imagination, and creativity. 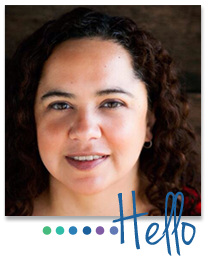 The girl doesn't think the boy can do it, but she is still ready to help him try. In the end, it takes both of them working together to solve the problem. If you don't know something is impossible, maybe it isn't.